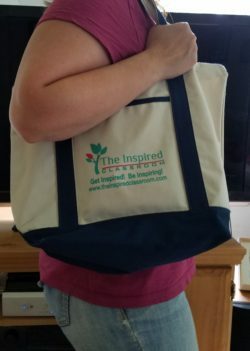 Sturdy canvas bag with zippers and pockets; great for going back and forth to school! This is the perfect bag! 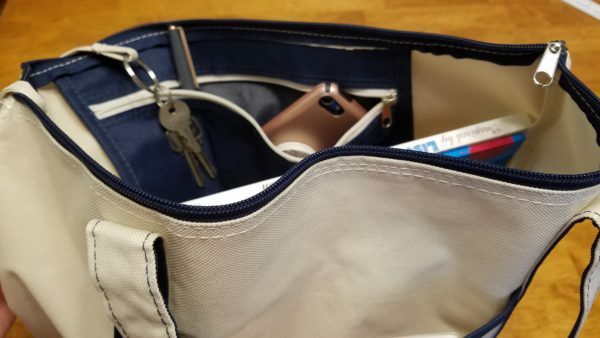 With one pocket on the outside and a zipped pocket on the inside, you can be sure not to lose a small notebook, your phone, pens or paperclips in the bottom. An attached key ring keeps a set of keys handy. 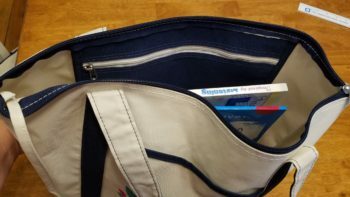 There is ample space to hold books, papers, even a laptop computer. The straps are sturdy and the canvas material will withstand a lot of wear and tear. 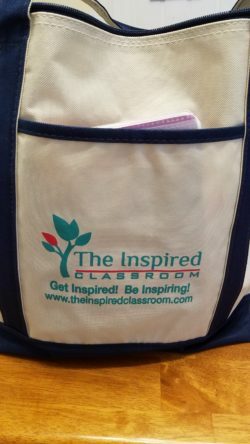 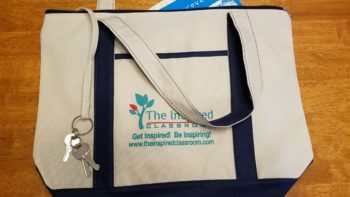 Pictured on the front is The Inspired Classroom’s logo and motto: Get Inspired, Be Inspiring reminding you to always take care of yourself, so you can be the best you for your students!